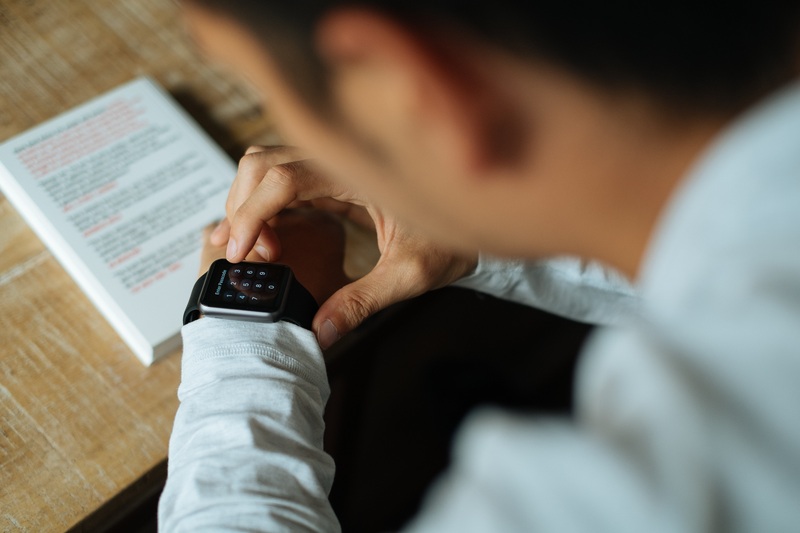 In a new column dedicated to exploring life hacks for students, Justin defends of one of this year’s most polarizing tech trends and describes how he utilizes a smart watch to bolster his day-to-day productivity. Imagine you’re running late for a meeting. You have a thousand things on your mind and a million more to do and this meeting is just inconvenient. You burst into the meeting with a minute to spare. You remote into your office computer from your laptop and begin last minute additions to a job you need to finish. The meeting starts and you’re not all that focused on its content. They talk about deadlines; you take notes. They mention some new ideas and you take more notes. The next meeting is rescheduled and your office machine just crashed. After the meeting, you leave feeling the sense of urgency. You forget your notes, forget about the deadlines, and forget about the next meeting. It was scheduled for 3:00, later this afternoon. You sit at your desk, give your machine a kick, and give it the old-fashion power cable pull. While you wait for your machine to come back to life, you turn to your phone. Turn off silent mode and presto. Everyone, their cousin, and their cousin’s boss is sending your text messages wondering where you are, why did the meeting go long, and inquiring about the 1,001 things you forgot to finish. Sound like you? No? That was me. Actually, that was my 3rd meeting as a producer. I had driven by the “Road-Side Kill Café” and this morning’s specialty was “Shish Kebab a La Producer.” The fire of my new promotion was just heating up. I was in for a very loud rude awakening into the professional world. I was alone, adrift in a sea of uncontrollable madness: deadlines, schedules, and the occasional fire. This was my average life until the invention of the smartwatch. In this story: The Apple Watch. I know what you’re thinking! Why not an “Android” or “Generic” smartwatch? I already had invested into a shiny iPhone 6 + and a friend had proclaimed the stress relieving ways of the Apple Watch, as only a good Apple Evangelist can. So, for $350 and some change, I purchased the Apple Watch sport edition. Seems simple enough? I can ask Siri to schedule my follow-up meeting with the web director at 5:00 pm while I’m in a morning meeting with that director. I will get the head turns, the snickering laughter, and the occasional priceless expression of confusion but the pros outweigh the cons. There is something so calming about “flicking your wrist” to see a notification after receiving a lovely tap from your cheap personal secretary. I can look at the notification, choose whether to respond or just return my hand to the keyboard and ignore it without stress. On the other hand, getting a notification from my phone has turned into an “emergency alarm” where I feel the “notification police” will hunt me down if I don’t respond. In part, due to the fact that I resent my alarm and choose my phone to be my alarm. However, it’s mostly caused because of the loud noise or intense vibration that makes you stop what you are doing and run to your phone like it’s your kid that just scraped his knee. The second plus to having instant and incognito access to your notifications from your Apple Watch everywhere you go is quite simple: I don’t look like I’m interrupting the meeting like I would if I dragged out my phablet. Smartphones are really getting to be the size of that 50’ LCD TV you got on a bargain from Black Friday. Any team that does not utilize slack should all go grab an espresso and download it, right now. Slack for teams is a free universal communication system. It’s like text messaging for your organization, only more reliable in cell phone “dead zones” (like a concrete walled studio). Receiving these messages from my Apple Watch lets me know how things are going, what people are doing, and most importantly who’s fixing the next problem. Before Apple’s recent release of Watch OS, you had to pick between a list of 20 configurable options or try to dictate words to Siri like: “LDK 9000”, “Pro-Presenter”, or “Close Up ISO”. I was morbidly impressed with dictations attempts to translate. With the update, I can now “scribble” letters to send quick text messages or choose a happy emoji to express my hidden sarcasm. I can now “write” my quick messages on the watch face and return to what I’m doing in seconds. No need to pull out my phone, unlock it, and click the message. I just “flick my wrist” and push the “scribble” button and start writing. Siri is having a much better time translating my chicken scratch. Monitoring social networks with quick notifications of talent posts are awesome. I can repost something awesome on other social networks by receiving the notification and handing it off to my iPhone. Simple, convenient, and sweet. Ok, not a productivity app but still extremely useful when checking in on a GoPro shot before a studio taping. Tap the app and see a live preview, tap the preview to add a marker, and watch the movie magic unfold. I don’t know how many smart watches have this feature but if you leave your giant radio-receiving phone on a desk somewhere you can use your watch to locate your phone. I didn’t think I would use this feature a lot. Ashamedly, I’ve use this feature 3 times today! Did an Apple Watch really save my career? Well, maybe not alone but it helped me become more productive. I still had a lot to learn when it comes to professional communication, but that’s for another article. Right now, I’ll enjoy the new found efficiency from this beveled wonder and continue my daydream for the “Instant Energy App”. Justin Kazmierczak is a contributor to the Daily Runner.